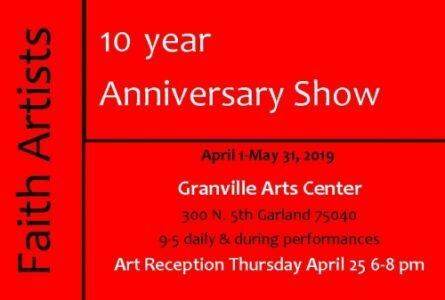 Garland Eyes Photography Free Exhibit Through Oct. 14 Granville Arts Center 300 N. Fifth Street Downtown Garland The Garland Eyes Photography Exhibit presents the many views of Garland and the world, as captured through the lenses of Garlandites’ many perspectives. Tickets: free and open to the public. Brendan Quigley Photography Exhibit Jan. 18-March 8 Granville Arts Center Gallery Space 300 N. Fifth Street Downtown Garland This FREE exhibit features stunning and adventurous photos by Brendan Quigley. The Granville Arts Center – Gallery Space is open Monday through Friday, 10 a.m.– 4 p.m., and during performances.